Slitting saws, everything you need to know! GSP - High Tech Saws, s.r.o., based in Zborovice, is a traditional manufacturer of machine tools. The beginnings of the production date back to 1948 when the company established a branch there Pilana and began manufacturing metal saw blades from the very beginning. All machines were manufactured under the name PILANA delivered until 1992, Shuler PILANA until 1999 and is now known as GSP-High Tech saws. Logo change reflects the change in our strategy of customer service. We have developed a number of standard tools vendor for the supply of specialized saw blades and knives (small amounts) in accordance with market needs. We believe that you as our client will benefit from our mission of non-standard industrial knives and cutters of production. 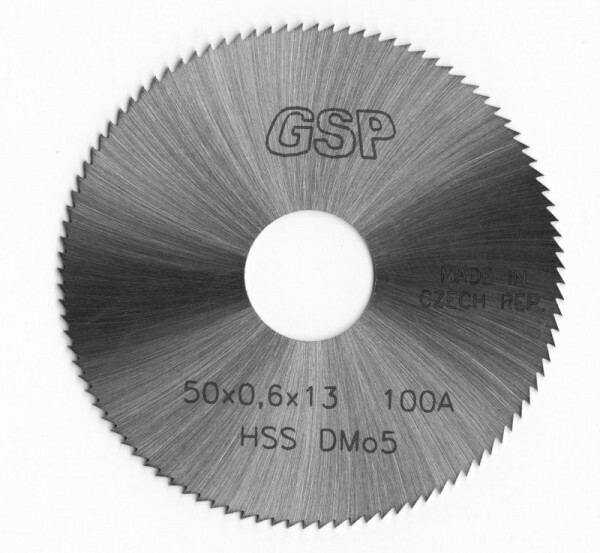 Continuous investment in new and advanced manufacturing processes closely controlled by sound technical and business management expertise brought GSP - High Tech Saws, sro in the forefront in the manufacture and sale of HSS cutting saw blades and circular knives. 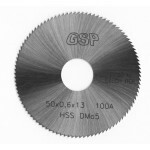 GSP - High Tech Saws, Ltd. is the only manufacturer of metal saw blades HSS in the Czech Republic. Slitting saw as a high speed and super high speed steels suitable for cutting-off, milling and grooving steels and alloys to manual, semiautomatic and fully automatic sawing stroje.Řezání range of ø 20 mm - 315 mm with a thickness between 0.2 mm - 6 mm in various stages of tooth forms: A - B - BW. All standard saws are available in HP-grind, but are readily available in VAPO and PVD (Physical Vapour Deposition) coated execution. Accurate screw slotting saws (saw cutting) - tooth form "A" Circular sawing machines to high speed and super fast steel suitable for slotting screws in all types of steel and slitin. Saws blades are flat ground (no mushrooms) and a number of teeth is done with the form "A". Saw blade range is about 80 mm; ø 100 mm and 125 mm. The blade thickness in the range from 0.7 mm - 2 mm in decimal steps. Precision saws for jewelry (cutting saws) - tooth form "A" Circular saws both high speed and super high speed steel cutting and goldsmith obrábění.Pilové purpose machinery blades are hollow ground (with charge) and the whole series is done with a spacing finer than 1 mm. Precision saws for pipe cutter (pruning saw) - tooth form "Bw" Circular saws both high speed and super high steel suitable for cutting pipe size diameter of 10 mm - ø 325 mm, with wall thickness from 2 mm - 10 mm in both standard steel and high alloy steel (stainless steel). Saw blade range is about 63 mm, diameter 68 mm and diameter 75 mm. The blade thickness of 1.2 mm, 1.6 mm and 2.0 mm and tooth form is "Bw". Saw Blade or Circular Saw? ČSN 222916 - rough teeth, tooth form B The saw blades ČSN 222916 with rough teeth and teeth form B are very efficient for cutting steel materials. Slitting saws DIN 1837 A High quality slitting saw, designed especialy for high performance. Slitting saws produced in Europe - Czech Republic. What product do you prefer?